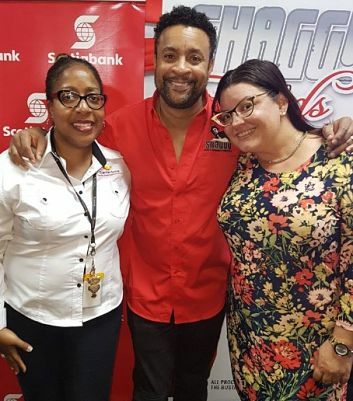 MUSIC FOR LIFE: The Shaggy & Friends charity fundraiser consistently delivers a top-flight entertainment package to thrill the score of patrons who flock to the grounds of Jamaica House to support the worthy cause. The 2018 staging, recently launched at the Bustamante Hospital for Children (the beneficiary), promises much more of what we’ve grown accustomed to. In other words, the performance lineup is comprised of terrific talents. Topping the list is Grammy and Oscar winner Sting, rap sensation Fetty Wap, hip-hop living legend Doug E. Fresh and Haitian hero Wyclef Jean. But home-grown Jamaican acts account for the lion’s share of artistes. Third World, Barrington Levy, Wayne Wonder, Ding Dong, Chris Martin and Aidonia will grace the stage alongside Chaka Demus & Pliers, Professor Nuts, Junior Reid, Capleton, soca warriors Bunji Garlin and Fay-Ann Lyons, and dancehall firestarters Shenseea and Dexta Daps. The megaconcert is set for Saturday, January 6, commencing at 8pm. Visit caribtix.com and shaggyfoundation.org for more info. 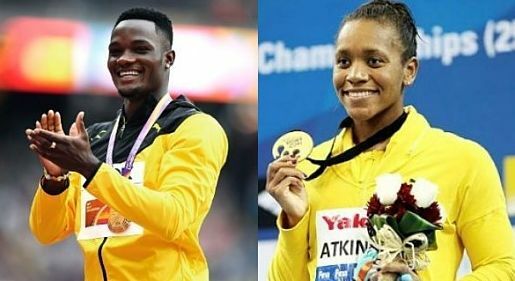 THE YEAR’S FINEST: Omar McLeod (the first Jamaican male athlete to win both the Olympic and World Championship 110M hurdles gold medal) and Alia Atkinson, who had another stellar year in the pool, are the frontrunners for top honours at next month’s RJR Sports Foundation National Sportsman & Sportswoman of the Year Awards. Only three women are up or Sportswoman of the Year: Atkinson and track athletes Elaine Thompson and Ristannana Tracey. (Sunshine Girl Jhaniele Fowler-Reid is a glaring omission here.) On the men’s side, meanwhile, McLeod is joined by cricketers Chris Gayle, Nikita Miller and Chadwick Walton, Reggae Boyz goalkeeper André Blake and squash sensation Chris Binnie. Among the other awards to be handed out: the People’s Choice Award for Performance of the Year, the ISSA Schoolboy and Schoolgirl awards, the Gleaner Iconic Award and the VMBS Youth Award.